MOSCOW (Sputnik) – Venezuelan opposition leader Juan Guaido, who declared himself the country’s interim president, has not ruled out he may grant pardon to incumbent leader Nicolas Maduro. According to Guaido, the initiatives on pardon for former officials and senior military officers, which will allow to restore democracy in the country, are being considered by the opposition-held National Assembly. "Such developments take place in transition periods. The draft law on amnesty is being considered," Guaido told the Univision broadcaster on Thursday. On Tuesday, the opposition-run Venezuelan National Assembly adopted a statement declaring President Maduro a usurper. On Wednesday, Guaido declared himself the country's interim president. 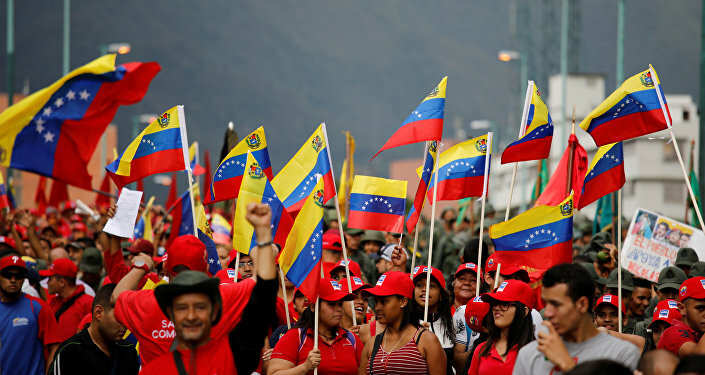 The United States, Argentina, Brazil, Canada, Chile and Colombia, among others, have recognized Guaido as Venezuela's interim president, while other countries, including Russia and Mexico, expressed support for incumbent President Maduro.